My blog is, in many ways, therapeutic. I am a reserved person. However i am a human being. I do have emotions and my ups and downs. I do not have any one so close that i can share my feelings vocally. Yes, there are best friends but there are certain elements of life that even a best friend will not be able to help. Its in situations like these when i need an outlet to express my emotions. My blog is this outlet. Off late i have also got these feedback from certain people that i should stop writing my blogs and not express my self of facebook walls etc. I understand where they are coming from. Truly, I do. They come from a different school of thought. I can only say this, if there is something that i write, and which you actually happen to read, and you dislike it. Dont tell me what to do, because i am only going to listen to one person - my conscience. There are certain keys on the keyboard which will actually help them ensure there is a win-win situation, should you not subscribe to what i write. Its + . Friday night, i went out to see, Abraham Lincoln - Vampire Killer. Its the kind of movie that should be remade in Tamil with Rajnikant in the lead (So now you know what to expect). Saturday morning i woke up early as had to go to the CA in the morning. Somehow, things got postponed and Scrooge ended up going alone as i had to reach office early. The day started with a monthly event, this time it was a singing competition of sorts (ho - hum -zzz). And it was the same grind at work. Sunday, i had to wake up early(By sunday standards) as one of my uncle(My dad's eldest Cousin) got hospitalized for knee issues. Now this person is one of the most active and jovial guys around. He must be nearly 65+ yet he has the will power and enthusiasm of a 21 year old guy. So when someone like that is confined to a hospital bed for a think like knee problems, it can be extremely frustrating. But knowing him, i know he will be back on his feet again very soon. When i visited him, he was his usual smiley self and joking around. Knowing mum and her stays in hospital, i know for a fact that a happy, smiley face can get out of a hospital situation much faster than a normal one. And it works, really. I remember when Mum got her 1st stroke 2 years back, she was in the ICU for a couple of days. She was not unconscious and had a lot of patients with her. One of them was a manic depressive guy who had just tried to commit suicide and would get panic attacks. Staying with these people, while you are itself coming out of a stroke attack, takes a lot of mental strength. And mum, with her sarcy and sometime wicked sense of humor managed to come out of, not only the ICU, but out of the hospital completely, in 4 days flat. After that i went to buy, the much needed office shoes as the ones i have were worn out after 2 years of rough use. 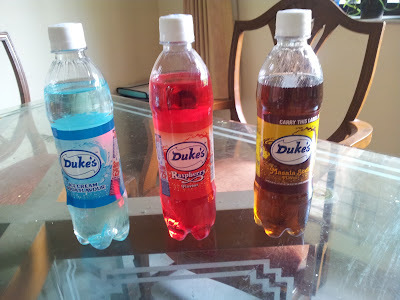 Then Scrooge and me did some grocery shopping and bought some amazing Sodas which we eyed upon after decades. These were, essentially, available only in Bombay 400001, 2, 3 and 4. I have the picture for you. poza si adresa siteului dvs. (in siteurile ce permit acest lucru) crescand astfel numarul celor care vad anuntul dvs cu cateva sute de mii de persoane zilnic. indexat de Google rapid (cateva zile) si va fi afisat in primele pagini.